Sleep is a precious time for the body as it allows it to rejuvenate and heal. This means that without adequate sleep, your health will suffer. As a result, it is important for every individual to find ways of getting proper rest. The amount of sleep required every night will vary. Adults require at least7 to 8 hours of continuous, uninterrupted sleep every night to guarantee a healthy body and mind. When you do not get adequate sleep, it is not only the body that suffers. According to the National Highway Traffic Safety Administration, millions of people will doze off while driving, which can potentially cause accidents. Additionally, the Centers for Disease Control and Prevention reported that about 49.2 million people have challenges with focus and concentration due to lack of sleep. Even with these statistics, many still do not get adequate sleep and this is where natural sleep aid comes in handy. 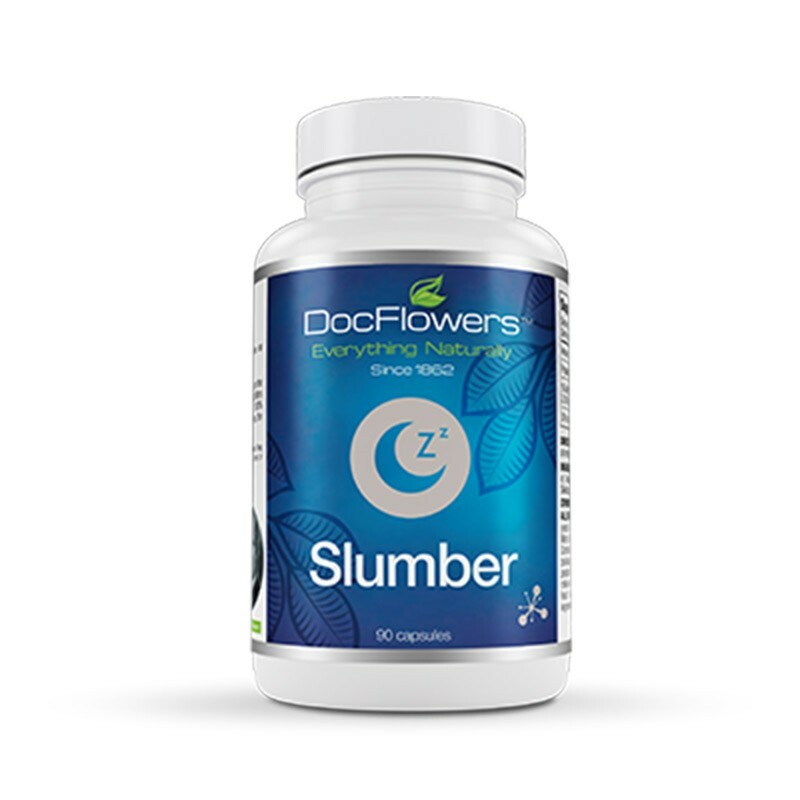 At Doc flowers, we have a natural sleep aid product known as slumber. Slumber works by stimulating the brain to produce natural melatonin. You can get a natural concentration of melatonin by taking our Slumber for one month for every year that you have had insomnia or other sleep-related problems. Slumber will help to establish a healthy sleeping pattern, which will boost your physical and mental wellbeing. At Doc Flowers, we pride ourselves on combining ancient herbal traditions and modernized research to give our customers synergistic and superior herbal blends. We ensure that our slumber has just the right quantity of each ingredient to help maximize its results. We can confidently affirm that Slumber is expertly formulated to give you a better and uninterrupted sleep through the night. And when you sleep longer and better, you will enjoy a more energized and refreshed morning. Our sleep product Slumber is made of natural products that are known to help you relax, fall asleep faster, ensure a healthy sleep cycle, relieve stress, and enhance your overall wellbeing without causing any side effects. Slumber contains all natural products such as valerian, passionflower, black cohosh, peppermint leaf, chamomile, Fu shen, lobelia, hops catnip, skullcap, and griffoniasimplicifolia. Our Slumber product will ensure that you fall asleep quickly and sleep soundly throughout the night. Furthermore, you will wake up feeling more refreshed. Unlike customary sleeping pills, slumber does not contain any synthetic compounds. This means that you will never experience any potentially serious physical or mental side effects that are associated with pharmaceutical sleeping aids. Slumber is an all-natural alternative that is highly effective, non-habit forming, and completely safe. Our herbal sleep aid Slumber is proudly made in a certified lab facility in the United States to guarantee superior quality and safety. Our sleeping aid uses proven and trusted all-natural ingredients that will give you a deep, restful sleep. We do not use any sugars, caffeine, or harsh chemicals when producing Slumber. Our sleeping aid is available in a bottle containing 90 pills that should be taken once every day just before bedtime. Use Slumber today to get good sleep and feel great every day.